As our long-time customers know, we moved last summer to a larger location in Tustin Ranch, near Irvine, California. Below are photos of our new place, now that we’ve been settled in and humming along for a while. Click here to view our location on a map. We are near the 5 and 55 freeways and the 261 toll road, between the Tustin Marketplace and The District at Tustin Legacy shopping centers. We are open to the public Monday through Friday, 10:00 a.m. to 4:00 p.m. Occasionally we have special sale days on Saturdays as well. (Join our email list to find out when.) Please come visit and shop with us anytime! 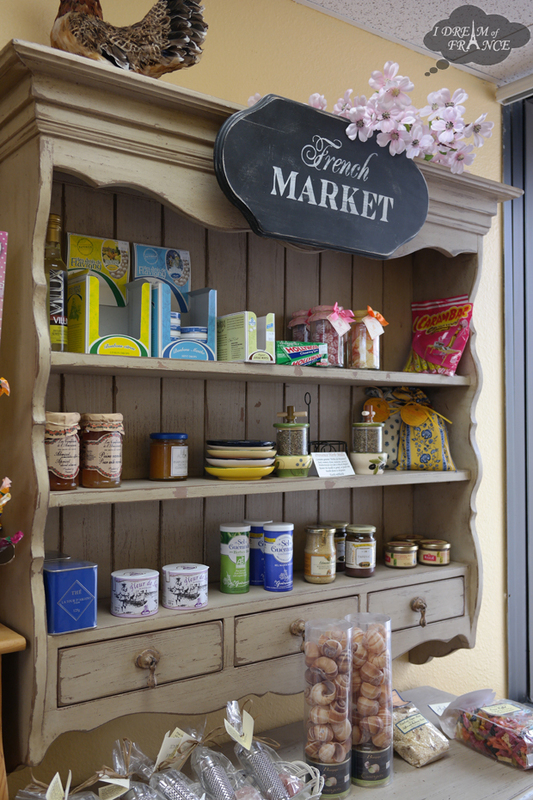 We have stocked up on lots of new beautiful French kitchen towels! We just added a dozen new styles from the ever popular French manufacturer Coucke (pronounced “cook”). The Coucke towels are soft, absorbent, beautiful and affordable. The designs cover many subject matters, from farm animals to fruits and vegetables, from Parisian bistros to wines and cheeses. 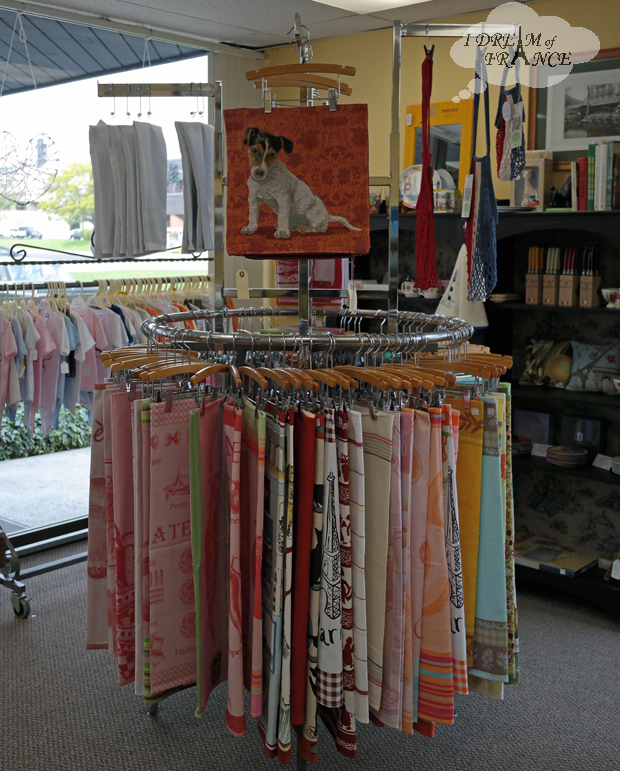 We also have an extensive selection of Beauvillé towels, made in France with beautiful crisp designs printed on linen blend fabric. 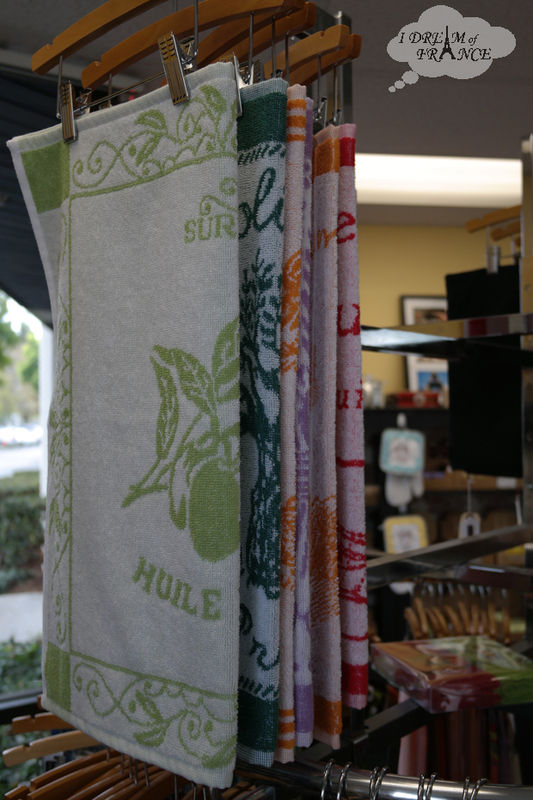 For the budget minded, we also started carrying a line of Parisian style towels with a bistro check pattern. 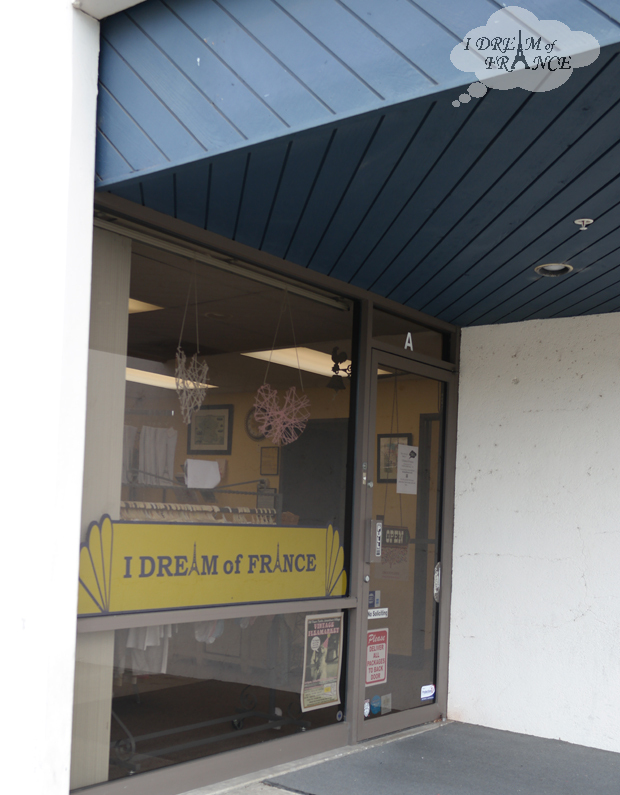 Click any of the photos below to view more information on I Dream of France. For a limited time, we are offering a 15% discount on all towels, from any brand! * Enter coupon code TOWELS14 in the shopping cart. As always, ground shipping is free for orders of $75 or more within the contiguous United States! No coupon code required. For faster shipping, or for destinations outside the USA and Canada, please inquire for shipping charges at 1-888-96-FRANCE or bonjour@idreamoffrance.com. * Coupon valid until the end of Monday February 17th 2014. Limited to products in stock at the time of order. Wrap it Up! 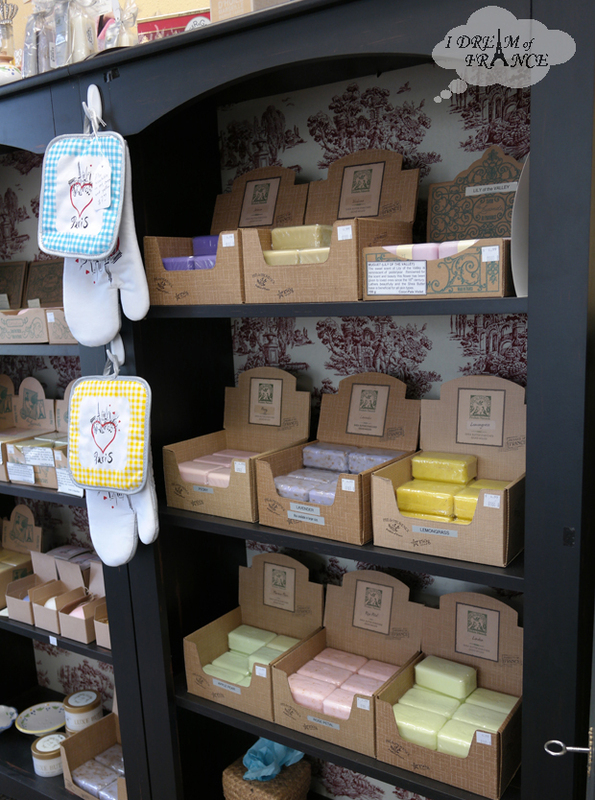 You Still Have Time to Order French Gifts! We are shipping six days a week to get your items to you FAST! Orders are usually shipped the same business day they are placed. Who’s left on your list? Need more gift ideas? Click any of the photos to view more information on IDreamofFrance.com. 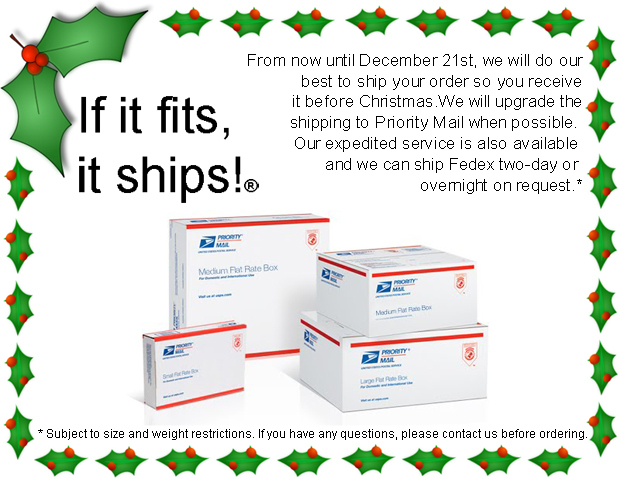 As always, orders of $75 or more ship FREE in the US! No coupon code required. Enjoy some timeless French classics this Holiday season. The CD includes a booklet with the lyrics so you can sing along! Made in the USA. A beautiful towel for your kitchen exclusive to I Dream of France. Buy it for yourself or make thoughtful gifts for friends and family! Made in the USA. How clever, this Christmas tree ornament contains 10 bags of a special French Christmas Tea blend. Close the ornament back up and hang it on the tree! Made in France. 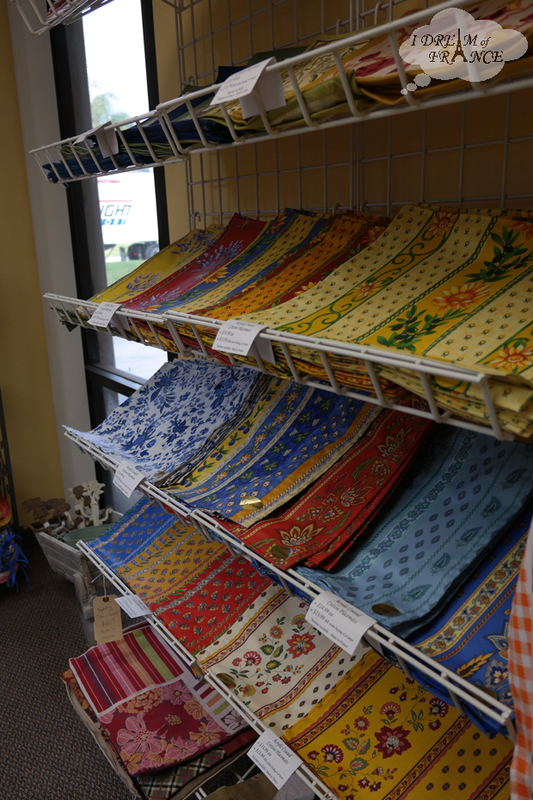 French tablecloths are our specialty so we have a lot to choose from! We especially like the new Olives Red by Le Cluny for the holidays. Available in round, square and rectangulars, as well as placemats and napkins, we have one for everyone. Made in France.